The luckiest is the one whose gun works. Whether it is sunrise or dawn, or somewhere therebetween, a working gun will always be handier than a sword – or a gun that backfires, for instance. You cannot be sure at the moment of firing whether the gun will work, or whether it won’t. That is half the reason for using a gun in the first place – an accurate shot has at least a 50% chance of hitting its target. Those are particularly good odds, given the windage, etc. An inaccurate shot can also hit bull’s eye. It depends on the bend of the trajectory. If you choose your numbers with intent, your outcome will be one thing. Lucky for some, not for others. In that way luck of the draw means selecting the correct numbers that come up. How you do that is up to you. If you should choose rather with presence of mind, your end result will be better than predicted. Remember that better is where to be, before you get to best. When you can improve upon what was projected, predicted, without undue concern for the outed repressions that attempt to get in the way of said betterment, then it becomes clear that life – as it should be – is on track. Should you be choosing a card from a deck, I would suggest deciding to be lucky before you take your pick. That way, you can feel your way into the divide that will guide you either forwards or backwards to the card that needs reading. 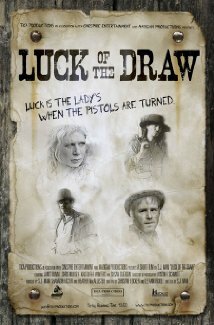 Then luck of the draw is in the number that presents itself to you. You need to realise that the energy expended in the direction of selection is returned twice-fold when the selection is correct. That is how. The why? Why not. “I know what you’re thinking. Did he shoot five or all six. Knowing this is a 44 magnum and can blow your head off, do you want to take that chance, punk. We do you?” I shot a 44 and I can tell you it kicks hard and blows a big hole in a garbage can.